It looks like EA might make a Star Wars game that fans of a squad-based shooter from 2005 might like. 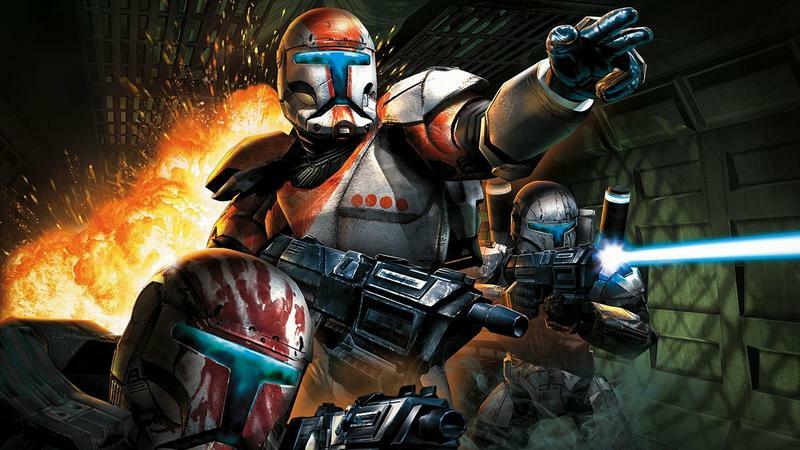 If this leak is to be believed, EA is making a sequel to Star Wars: Republic Commando called Star Wars: Imperial Commando. This comes from the Star Wars Leaks subreddit. A user going by the name Alpha_Cukie drops a wealth of information about the supposed Imperial Commando. Alpha_Cukie apparently gets his or her information from the fact that they are ” involved in the process of creating the ARG (Alternate Reality Game)” meant to accompany the announcement. The leaker points to two separate screenshots, seen in the gallery below. The first is a login page, where users can enter any one of the names of the Commandos from Republic Commando and a random password. The second shot is of a countdown set to expire during E3 2016, and it even boasts the #EA_E32016 hashtag. Alpha_Cukie then launched into specifics. The game will be revealed at E3 2016 with a roughly three minute long trailer. Release will be November 2017. It will be released for Microsoft Xbox One, Sony PlayStation 4, Nintendo NX and PC. No surprise: The engine will be FrostBite. 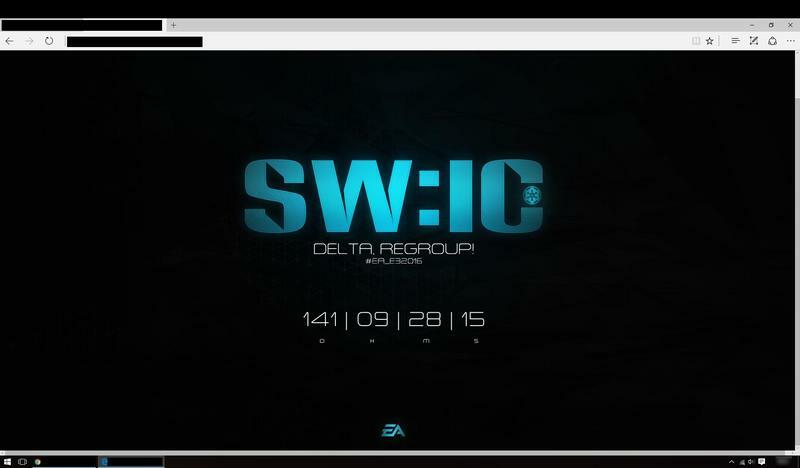 SW:IC will use FrostBite 4. The biggest feature: Coop! SW:IC will deliver the best experience when played by 4 players! Each player has unique gadgets and features. The leader (RC-1138) can give orders to the others. The HUD and the helmet-view will even be more important than in Republic Commando. There will be vehicles, only in some few parts of the game (Halo-like). Since its mostly an storydriven game, it will have a f*ckin huge campaign and a lot of planets of the universe (+20hours). There will be an app, that can be used as second screen (like the fallout 4 pippoy) for gadgets/weapons/radar….. The screenshots are compelling, but this can obviously all be fake. 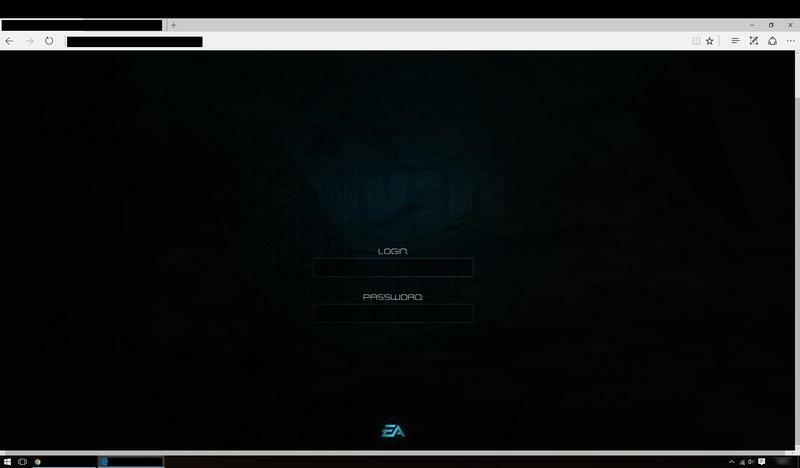 One thing worth noting here is that Alpha_Cukie indicates that the site’s countdown expires on June 15 during EA’s presentation. Here’s the thing… EA’s press conference has always been on Monday. June 15, 2016 is a Wednesday. Furthermore, the notion that this is being developed for the Nintendo NX might be taking things a bit too far. EA has almost completely deserted Nintendo at this point. They don’t make games for the Wii U, and they haven’t made a big game for the 3DS in a long, long time. I’m not sure they plan on supporting the NX. Not, at least, until the system proves itself as a viable option. Am I nitpicking here? Maybe. But, when it comes to rumors like these, it’s sometimes the little things that reveal fabrication. This is a rumor. Treat it as such. It would be cool to see a follow-up on one of the Xbox’s best games, though.